The Threadcakes cake-making contest has come to an end, at least for this year. There were a total of 595 entries – meaning that lots of talented bakers put together 595 amazing cakes based on Threadless t-shirt designs! Competition was fierce in both the 2D and 3D cake categories, and while it seems as though creating a two dimensional (a.k.a. flat) cake would be easier, most participants opted to try for the 3D cake designs. The winners were just announced and, needless to say, the cakes that won certainly took the cake. The grand prize winner in the 3D category, Noah Express, is pictured above. Jennifer Flynn put together a great set of photos showing how she put the cake together. It looks just like the shirt design it was based on. 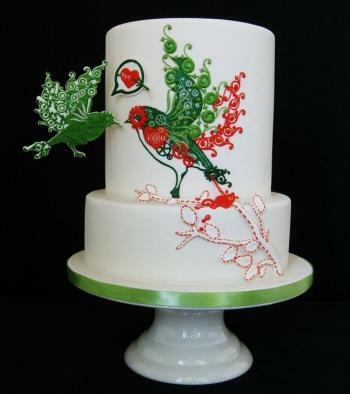 Second place went to Bird Migration, which also looks so much like the design that inspired it it’s hard to believe it’s actually a cake. The 2D cake winners were just as impressive. 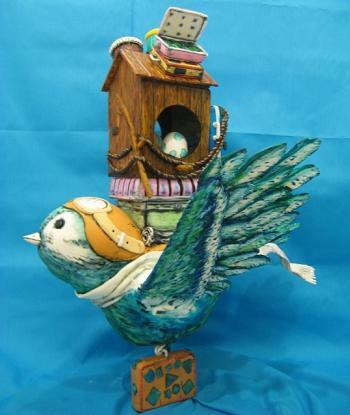 Grand Prize in that category (below) went to Imposter in the Bird Hotel, a very detailed cake created by Alex Waite. And when I say detailed, I’m not kidding. 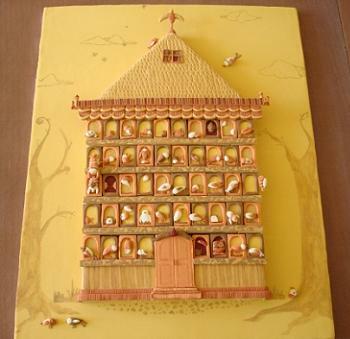 Each of the “rooms” of the hotel is an individual cake! Look closely for the cat in the bottom row, third window from the right. Second place in the 2D category went to a cake titled Byebi, which may have a flat design, but ventures dangerously close to 3D cake territory with the bird suspended in mid air on the side of the cake. In the end, every cake was wonderful and I am incredibly impressed by the time and effort that everyone put into baking their cakes – an honored by the fact that I was asked to be a judge in the first place. If you want to kill an hour or so, browsing through the full gallery, and taking a deeper look at the step by step photos and commentary of your favorite designs, is well worth the effort. What is a crumb coat? Next PostNext What is a crumb coat? Baking Bites Holiday Cupcake Contest Winners! I can’t get over how talented people are. I would do anything to have this type of skill. Congrats to all the winners! Super pictures. 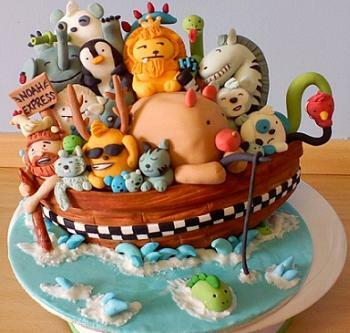 I can totally appreciate all of the hard work that goes into making a cake like these. Great job! Wow..that is an amazing cake. What would something like that cost? omg! theyre so cute! i dont think i could ever pull somethin like that off! good job! im super impressed!